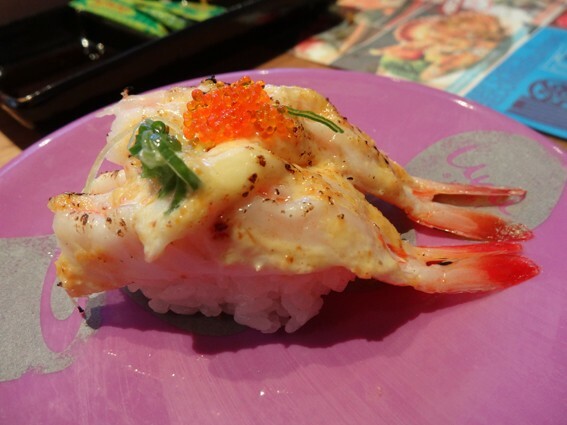 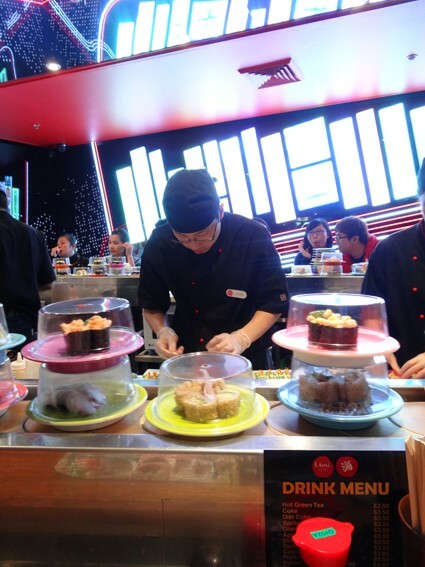 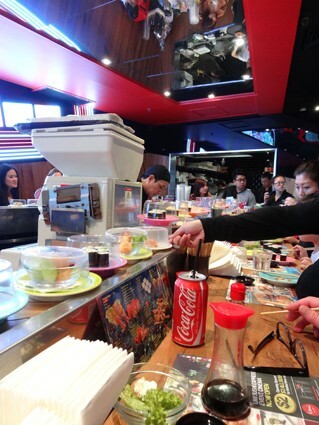 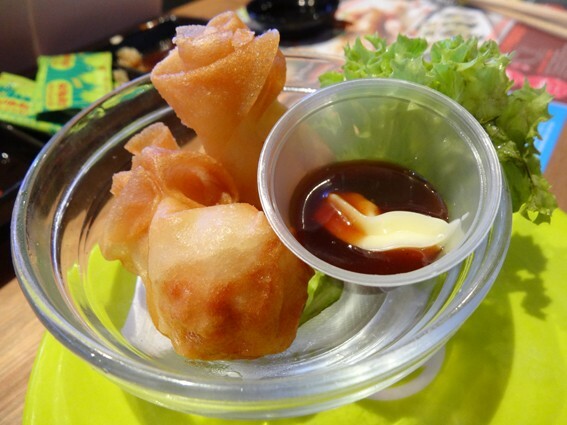 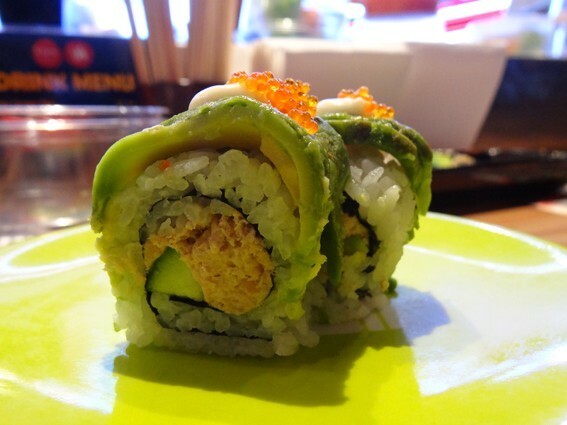 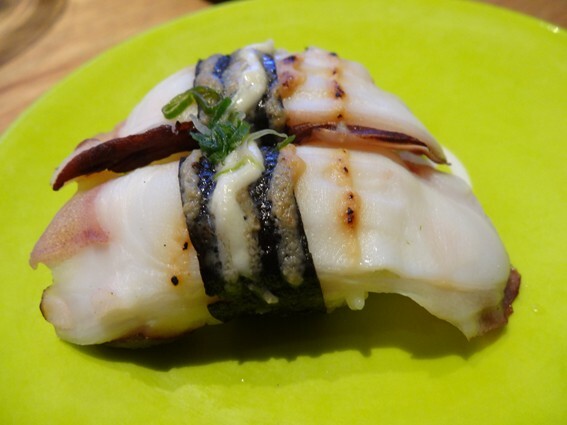 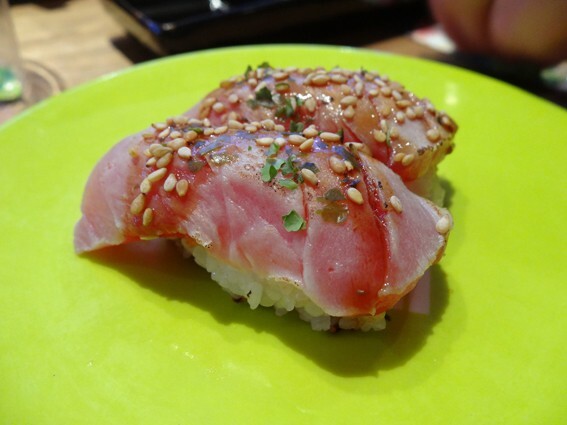 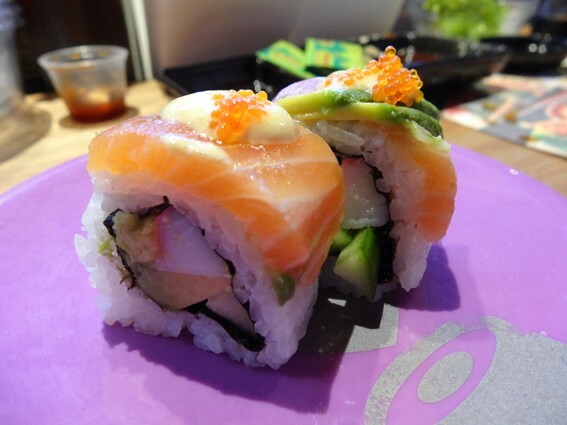 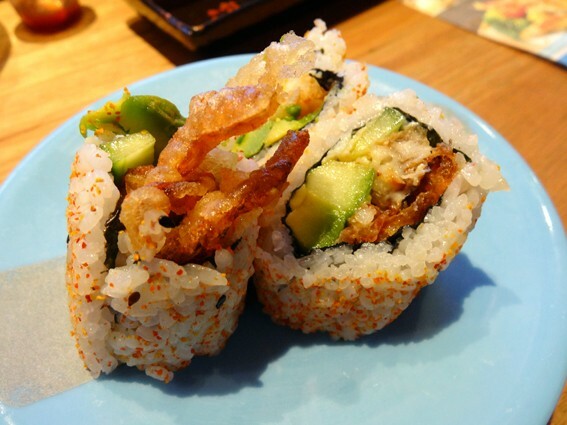 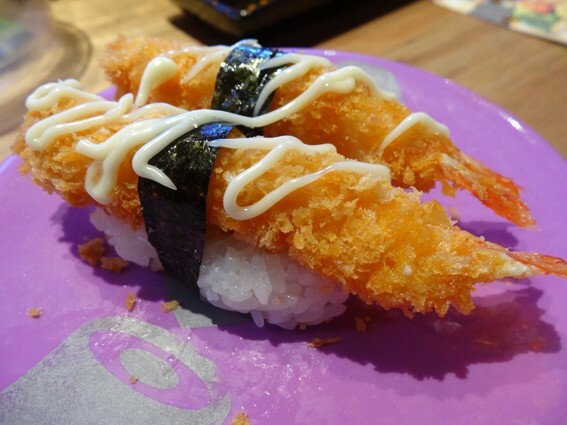 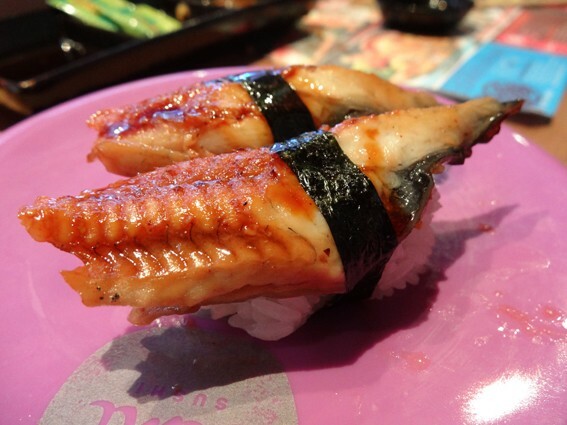 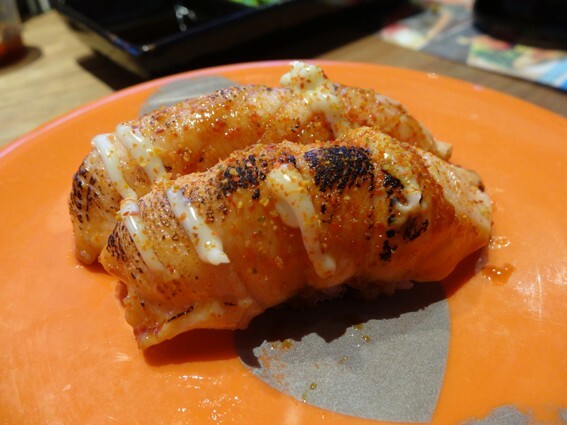 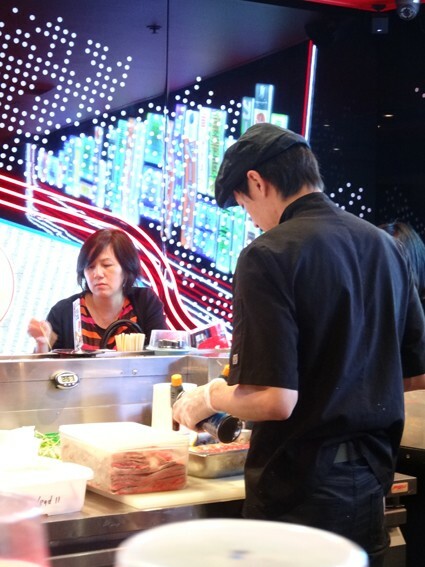 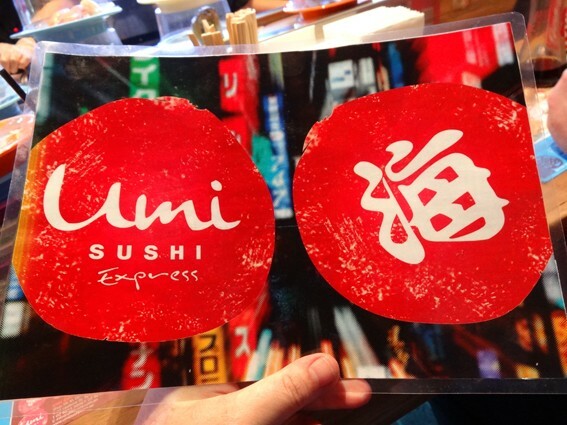 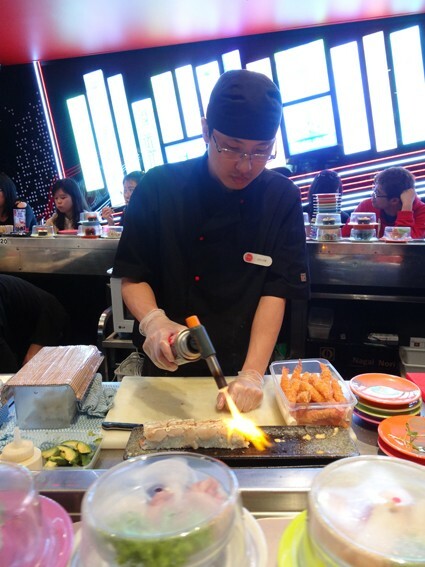 Review - Umi Sushi Express - Does My Bomb Look Big In This? 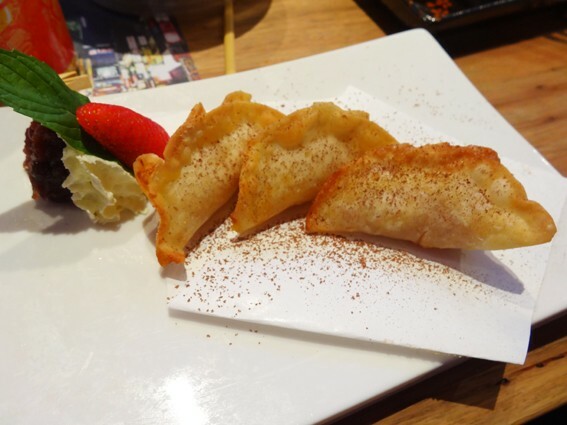 With my last week spent scouring the Sydney Film Festival’s foreign films for exotic foods, I have to admit my meals tended towards fast festival eats. 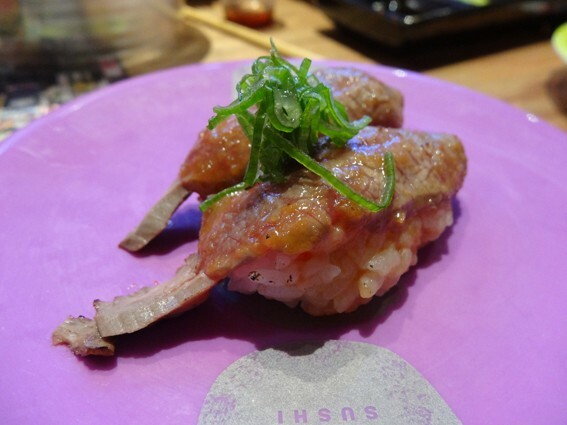 These days though, the George Street area has quite a bit to offer, including this, the third outlet in Jessie and Terence Chau’s popular Umi chain. 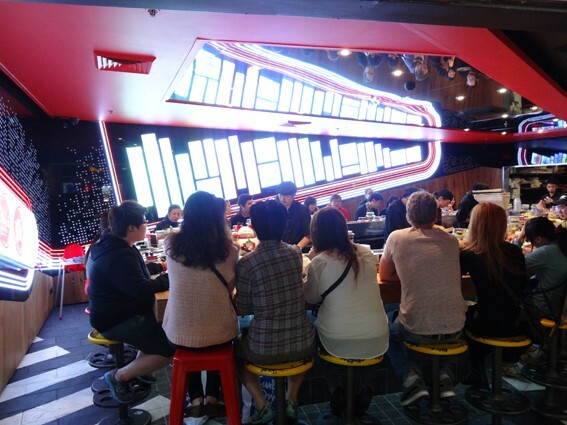 Situated right inside the Event Cinemas complex, this groovy sushi chain is decked out like a Tokyo streetscape (courtesy of Giant Design and Crosbie Projects). 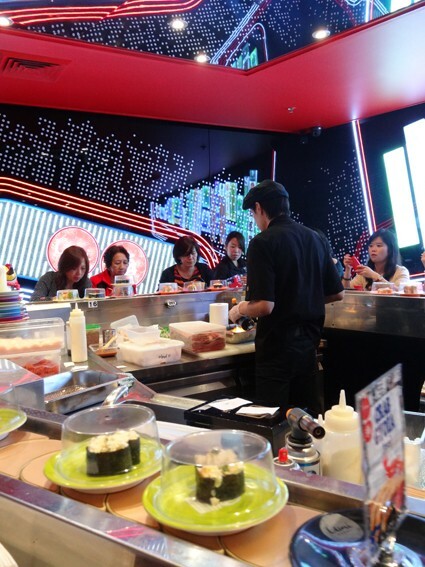 Pumping dance tunes fuel the nimble fingers of three sushi chefs, rolling and searing up a virtual storm of sushi, housed inside the train. 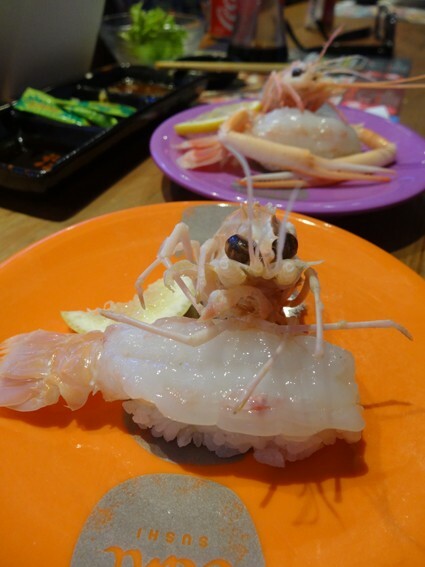 ...and the ever-popular Volcano Prawns ($3/2 piece) eat very well. 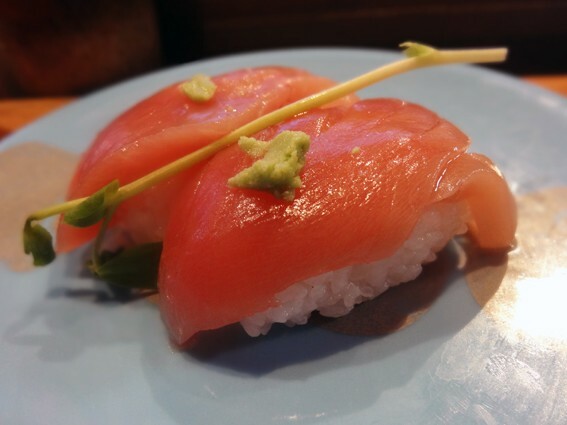 ...perhaps eat the more elusive Blue Fin Tuna ($3/2 piece). 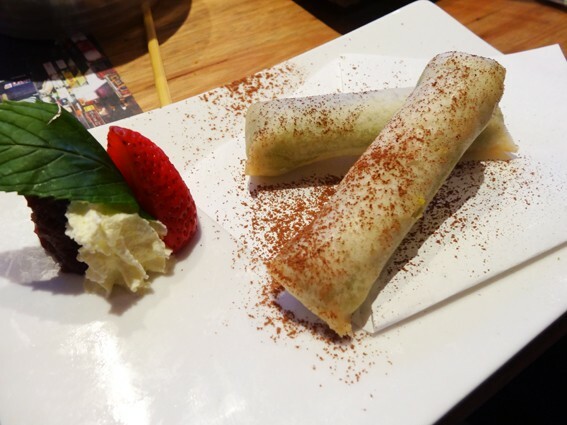 ...my favourite Mascarpone Red Bean Spring Rolls ($5/2 piece).